My second Kindle Single, Death Keeps His Court, is now available in the Amazon Kindle Single Store. 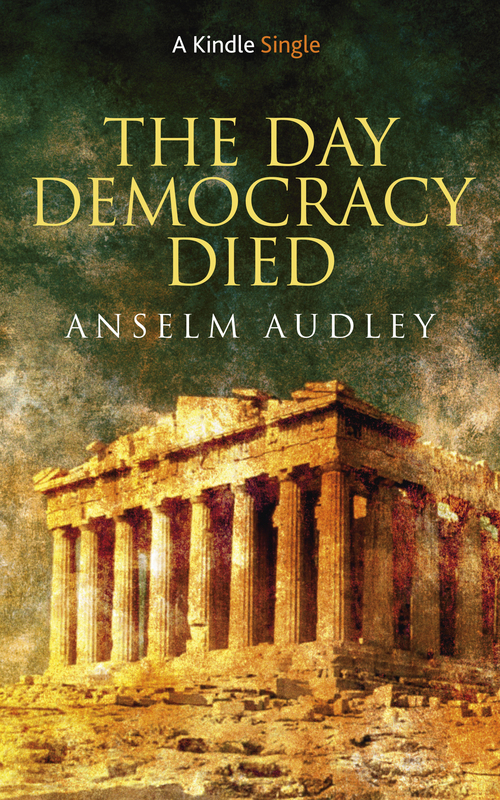 1800-odd years on from the Arginusae Trials, it moves from democracy to monarchy and from classical Athens to mediaeval England, telling the story of a King who became a tyrant and the man who didn’t claim his throne. Richard II was young, handsome, and elegant. Last living child of the brilliant Black Prince, he came to the throne bearing the hopes of his people on his shoulders. His court glittered; his tastes were refined; his portraits shone with gold. Regal, composed, aloof, he was the very picture of majesty. He became a murderous, capricious tyrant. His favourites plotted against his family. 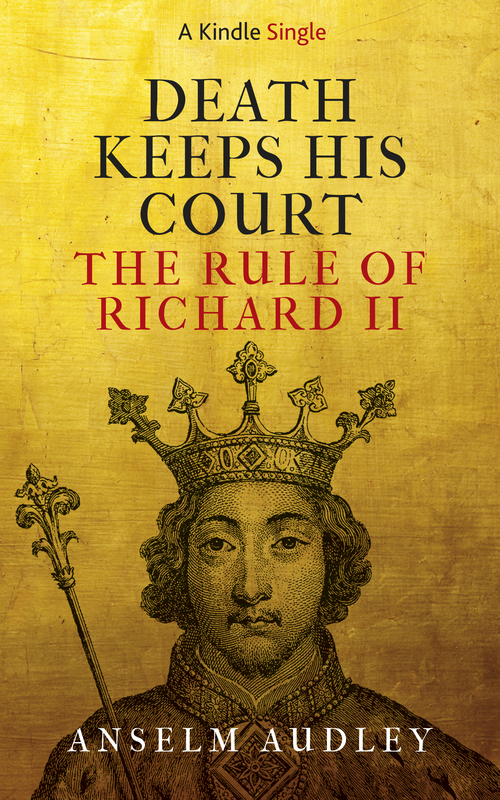 He rewrote the laws of England to give himself absolute power. He raised an army against his own subjects. His subjects deposed him. Twice. This is the story of the forgotten civil war of 1387, which saw Richard set against his brave, ill-starred uncle Thomas of Woodstock. 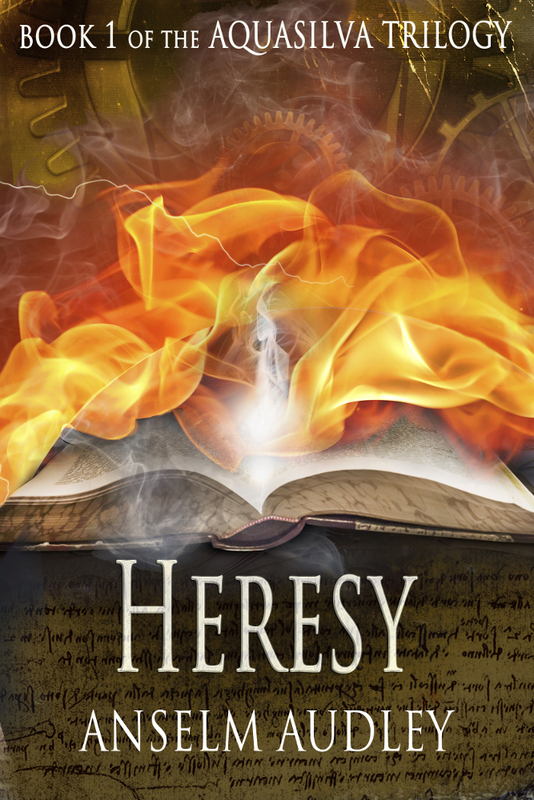 Of how a boy’s bright promise turned deadly, provoking his nobles to fear, flight, and finally open war. Of how a humiliated King set out on a course of vengeance which would cost him his life and sow the first fatal seeds of the Wars of the Roses. From royal banquets to battles in the mist, Death Keeps His Court tells a tale of real-life tyranny, treachery and tragedy in the age which inspired A Game of Thrones. It’s available from the Single stores for Kindle US, Kindle UK, and as just a regular book on Kindle Spain (once again in English, alas). If you like it enough to review it, please do! How scapegoating and hysteria doomed the world’s first democracy. From the chaos of a sea-battle to the fury of a lynch mob, from personal bravery to political machinations, The Day Democracy Died tells in vivid detail the tragic story of the Arginusae trials and the fall of Athens: a cautionary tale of democracy’s demons which is as relevant in the age of instant news and mass media as in the volatile city-states of ancient Greece. October, 406 BC: on the darkening waters of the eastern Aegean, an inexperienced Athenian fleet prepared to face the might of Sparta. With the fortunes of the Peloponnesian War turning inexorably against it, a beleaguered Athens badly needed a victory – and it got one. The Battle of Arginusae, won by raw recruits against a battle-hardened Spartan armada, saved Athens from disaster at a heavy cost in sunken ships. Yet in the confusion following the battle, neither the survivors nor the bodies of the dead were ever recovered. When the fleet returned to an apprehensive, overcrowded Athens, recriminations between its leaders escalated into a vicious, hysterical witch-hunt which convulsed the democracy and swept aside custom, sense, and law. In an extraordinary and chilling sequence of events, six victorious generals were arrested and put on trial for their lives before the Athenian people. 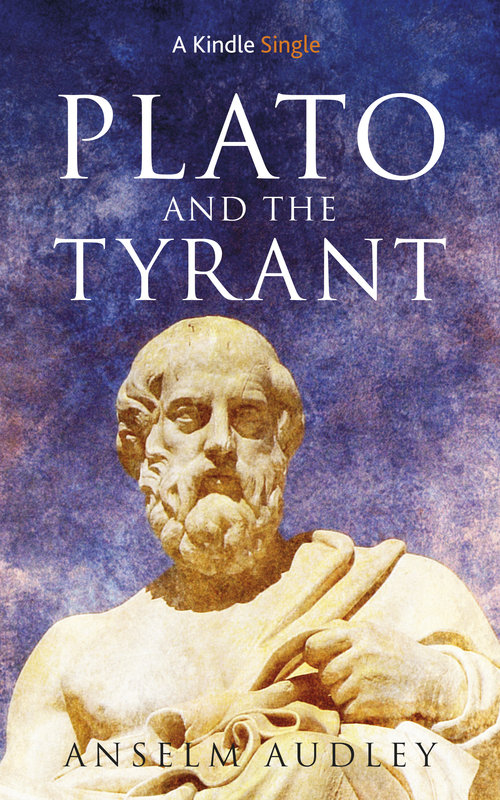 On a day of violent passions, before a crowd of thousands, a handful of brave men including the philosopher Socrates struggled to save Athens from itself. As public anger and political tensions were stoked by inflammatory speeches, the principles of democracy would be tested to breaking point. The final verdict of the Trial of the Generals would haunt Athens for ever – and decide the outcome of the war. It’s available from Amazon worldwide, and in the Kindle Single stores in those countries which have them. It may in due course appear in German, too. For Spanish readers, alas, nothing is currently planned. I asked the editor, and there’s currently no Spanish Single store. I’ll keep an eye out for translation possibilities though. Writing my first non-fiction has been enormous fun. I like telling stories, and researching narrative history involves spending time in gloriously ancient libraries and really engaging with historical figures as they’ve come down to us. Extremely good training for fiction, too, when you have to tease out motivations and agendas from scattered hints. I’m working on a second project now, with more on the horizon, and with luck I’ll be able to announce something else before too soon. I haven’t forgotten the fiction, but it’s going to be on the back-burner for a little while longer. In the meantime, the four Aquasilva novels will be released again over the next few weeks with an entirely new set of covers. I’m very fond of the old covers, because they’re very scenic indeed, but the licence to use the art has run out again. And covers have changed, as they do. Landscapes barely feature any more; covers have a tighter focus, whether figurative or symbolic, and usually a darker palette. So, new covers and a new look. I refuse to cast Cathan as a stubbly badass with a hood and some heavy weapons, but thanks to my excellent cover artist, I don’t have to. All four books will be re-released in ebook and trade paperback form over the next few months, which means that Vespera will be making its first ever appearance as an English-language paperback sometime in the New Year, and so after seven years I’ll finally get to hold an actual readable copy in my hands. Which, being at heart a Luddite who doesn’t think digital things are real, I am very, very much looking forward to.